Top international non-profit, Oxfam, has said that in its new report titled "Mind the Gap -- State of Employment in India", dubbed as the second India Inequality report, it has approached structural inequalities in India’s vast labour market with a particular focus drawn on gender disparities within it. In particular, the report claims to have drawn on primary and secondary inferences on key issues, including the over representation of women in unpaid care work, the susceptibility of poor and marginalised women being forced into forms of unfree labour on account of the structure of the rural economy, and unequal wages accruing to women workers who are paid 34 per cent less than their male counterparts despite performing the same tasks and possessing the same qualifications. Employment opportunities continue to be marked by identities including gender, caste and class. 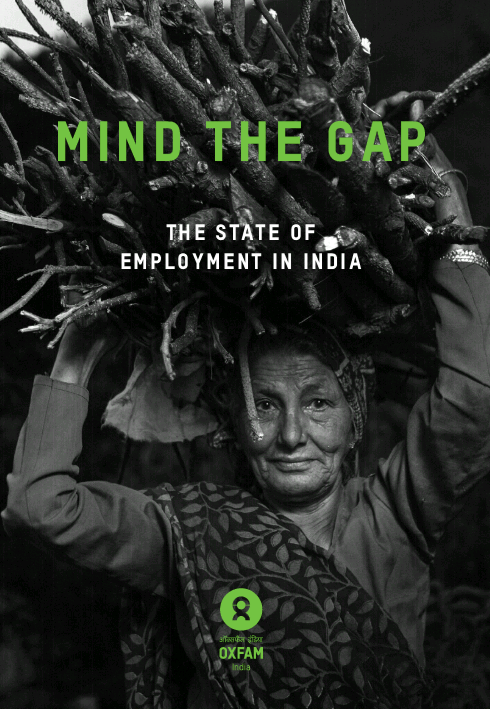 Lack of quality jobs and increasing wage disparity are key markers of inequality in the Indian labour market, Oxfam India’s new report ‘Mind The Gap – State of Employment in India’ revealed. The decline in rural jobs, transforming urban areas, unequal pay, the burden of unpaid care work, and the continuing prevalence of regressive social norms are factors underlying low women’s participation in the workforce. “Despite the rhetoric of job creation and ensuring gender justice, the reality is sobering on the ground. The report draws particular attention to women being left out of the economic growth narrative. It shows that women’s participation is low due to decline in rural jobs, transforming urban areas, unequal pay, the burden of unpaid care work, and the continuing prevalence of regressive social norms. And this is a consequence of poor policy choices and lack of investment in social security and infrastructure,” Oxfam India CEO Amitabh Behar said. Specific chapters also elucidate on non-gender specific aspects of India’s labour market and its linkages to inequality. The report examines the role of labour legislation in furthering job insecurity among workers and also analyses the social security framework for workers that exposes the precariousness for certain groups. It draws attention to increasing informalisation in formal manufacturing through the rise of contractual labour and wage differences between regular workers and managers. Finally, it assesses caste realities in stigmatised occupations. The often fatal health implications of being employed as a manual scavenger or as a cleaner in the leather industry is an important aspect of this section of the report.